The property known as the former Colleoni Barracks is located in the historic centre of Bergamo. 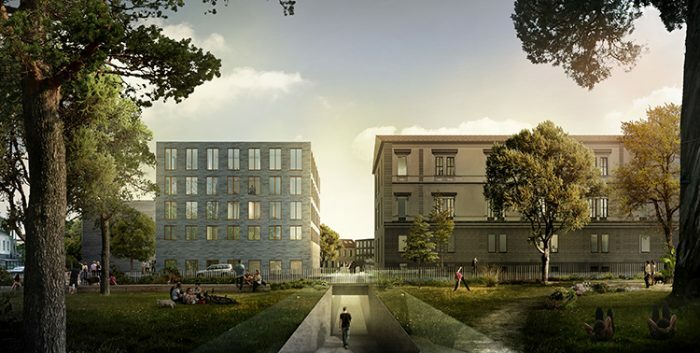 The urban redevelopment project, awarded to the Barcelona-based office Barozzi Veiga, foresees an optimal balance between new constructions and renewed historical buildings, with a student housing complex and university sports centre in the neighbouring area. Built in the 1800s, the Colleoni Barracks consists of two main buildings and is subject to a heritage listing by the Ministry of Cultural Heritage (ex. Legislative Decree 42/2004). 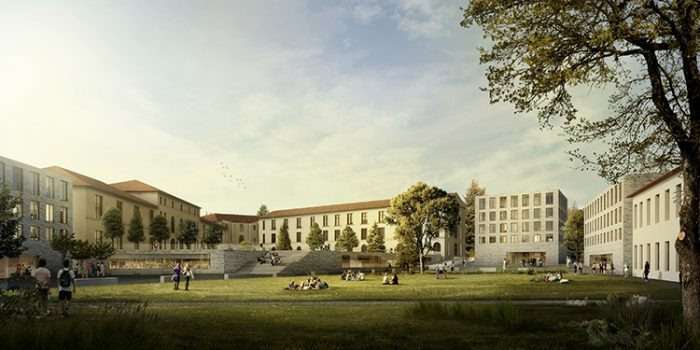 In March 2015, CDP Investimenti Sgr, the Municipality and the University of Bergamo signed a Memorandum of Understanding with the aim of redeveloping the site. The project was entrusted to Barcelona-based Barozzi Veiga Studio, the winner of an international design competition announced in December 2015. 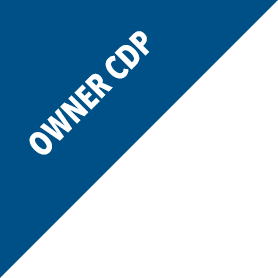 In July 2016, CDP Investimenti Sgr, the Municipality and the University of Bergamo signed a Programming Agreement that allows for the redevelopment of the site with a buildable surface of 13,450 m², for residential (5,450 m²) and commercial (8,000 m²) purposes. The restoration also foresees the realisation of public open spaces (a new square, parks and underground parking) and complementary public facilities (bicycle-pedestrian underpass). 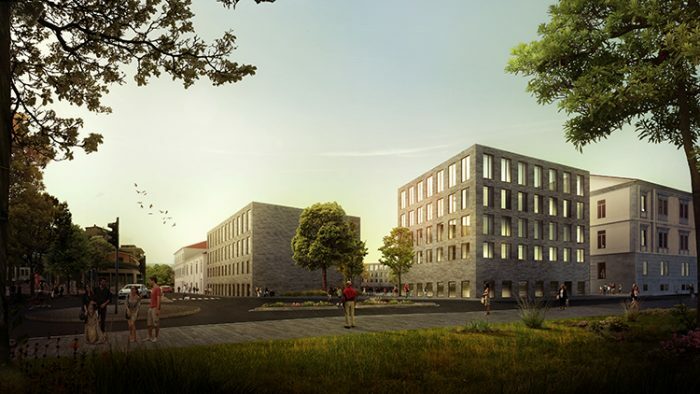 In addition, a student housing complex and a new university sports centre will be realised in the adjacent area by the Municipality and the University of Bergamo. The property is located in the historic centre of Bergamo (pop. 119,002), capital of the Province of the same name (pop. 1.108,853) and the 4th municipality of the Lombardy Region for resident population. The property, which features a large central courtyard, is part of the larger neighbourhood known as the “Città Bassa” (Lower City). The Barracks are located in the eastern part of the city, not far from the historic centre and the medieval villages of Pignolo, S. Caterina and S. Giovanni, close to the Marenzi and Suardi Parks and the Galgario Tower. 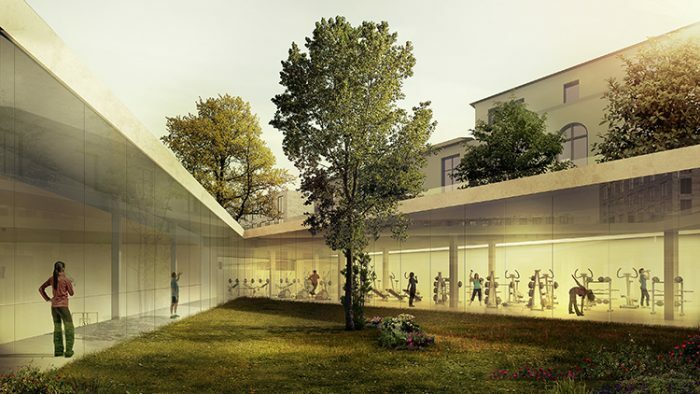 The property is also close to other important sports and leisure centres, such as the Sports Building, the Fine Arts Academy, the Carrara Gallery, the Gallery of Modern and Contemporary Art and the university complexes on Via Pignolo and Sant’Agostino. The area is easily accessible by car and by public transport, with local bus routes and the funicular close the property. The railway station guarantees connections with the province and “Orio al Serio” airport (the 3rd Italian airport with 11 million passengers in 2016) located 1.6 km from the property. The city has excellent connections to roads and motorways and is 50 km from the centre of Milan, 40 km from Lecco (Como Lake) and 120 km from Lugano (Switzerland).